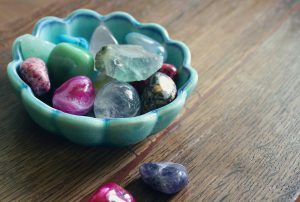 What exactly are healing crystals for stress? How can they help you? I believe that anybody knows how healing is nature for our spirits, souls, and bodies. Is there anybody who disagrees with this statement? Are you? Crystals are part of the Earth, nature that we all are coming from. Everything is connected, and can’t be separated. It is like separating trees from the whole forest. We can’t deny that nature can heal, help restore us and relieve stress and anxiety which are constantly in our lives. The question is what are the healing crystals. How can they relieve stress in our daily lives? Are you ready to find out? Do you know that Healing crystals for stress have been around since the times of ancient civilizations like Sumerians, Egyptians and the Greeks? So why can’t we use them for ourselves nowadays when stress and anxiety are everywhere we go? When I told my mom that I am writing an article about healing crystals and asked her which crystals are good for stress relief. Could you guess what she told me? All of them. She was right. But I needed to choose some of them because I couldn’t write about all crystals. Right? If I would try to do that, then this article would become like a never-ending book. I chose eight healing crystals that release stress and anxiety and help us find more balance in our lives. It is used to help with stress and anxiety by promoting harmony and clear thinking. We all know that stress too often comes from our thoughts. 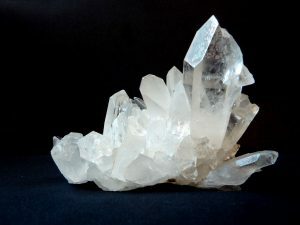 This master crystal can help you balance your mind and body and create a calm environment by neutralizing negative energy in your home or office. It is one of the most popular crystals that people have as a part of jewelry or stone. Amethyst can help you relieve physical, psychological, emotional pain or stress. It releases tension and eases headaches that can be a symptom of stress. Amethyst can help you get restful sleep after a stressful day at work or home and treats insomnia. 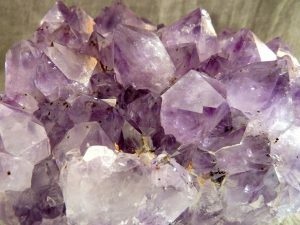 If you want to bring balance back into your life, amethyst will definitely be the right crystal for you. 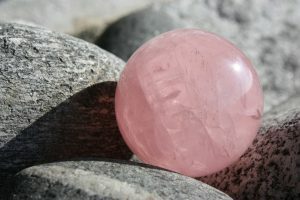 This beautiful pink stone is an effective crystal for managing stress and bringing comfort in times when you experience emotional stress and worry too much. Rose Quartz promotes self-love, inner healing and peace, and these things are needed if you want to relieve stress and balance your life. This healing crystal can help you get rid of anxiety and tension that is usually caused by negative thoughts. Are you confident about yourself and your skills? 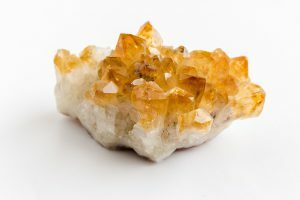 Citrine is also used to promote self-confidence and positivity, and that can help you relieve stress and worry less. This crystal can help to get rid of negative energy in your daily life and relieve stress and anxiety. 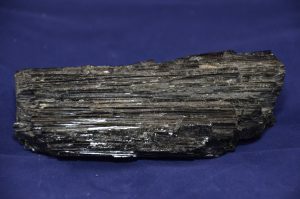 Black Tourmaline transforms the energy around it and is used in mediation as grounding crystal. This healing crystal provides a shield against emotional and environmental stress, and you can use it in healing and meditation. 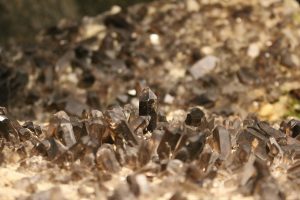 Smoky Quartz relieves stress, anxiety, and negativity. It is a great crystal for relieving stress because Smoky Quartz promotes positive emotions and thoughts. One crystal that is known for its calming effect is turquoise stone. This is one of the best crystals for stress and anxiety relief. Turquoise not only absorbs stressful energies but also emits calming vibrations that can help you relax and find more peace in every given situation. 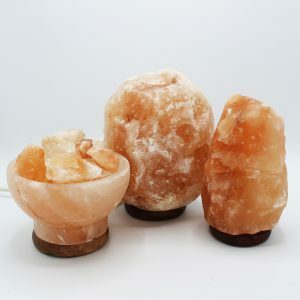 This crystal is known for its use in detoxification and usually found in Himalayan salt lamps. If you want to eliminate emotional stress, use Himalayan salt in a bath, and you will see how that can improve your sleep. Some people believe that this crystal posses high vibrations, and possibly that is why it is used in therapy. I think that these healing crystals for stress can help you find more peace and balance in your life. 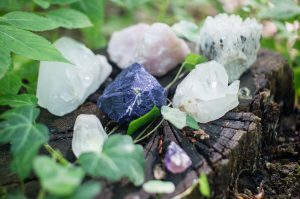 We cannot disregard the influence and popularity of these healing crystals. However, the benefits of these crystals aren’t scientifically proven. But it doesn’t matter, and if you are looking for an alternative remedy for stress or anxiety relief, go for it. Just see for yourself if they are working. 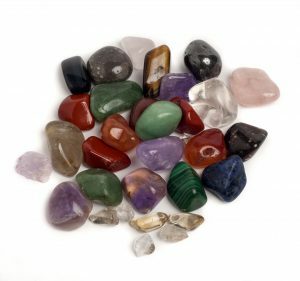 Many natural health practitioners and individuals use healing crystals to help themselves and other people. Healing crystals have many benefits and they look great as a decoration, jewelry or tool for stress relief and meditation. What do you think about these healing crystals for stress? Which one is your favorite? Let me know below! Learn more about ways how to reduce stress in your daily life and be happier, CLICK HERE to find out. I would love to hear from my readers, so please leave me a comment below to let me know what you think about this post. How to relieve stress naturally and easy? Please subscribe to my blog, and you will be the first one to read my upcoming articles about stress relief. If you enjoyed this article, please share this information and let your friends know about it too. I completely agree that all crystals are great for stress relief! 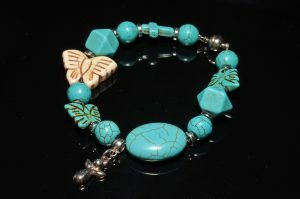 Turquoise looks to be a very calming stone, I’ve never really thought of it before, but I might have to give it a try. Honestly, I love all crystals and there are so many, so it’s very hard to choose! Thank you for your wonderful article! I think that crystals are a bit underrated in terms of stress relief and I think more people could benefit from using them! I agree, but there some people who think that crystals can’t help with stress relief or anything else. Himalayan salt lamps are really amazing. I have them in my home. They are not only beautiful but also have health benefits as you have mentioned above. I have experienced a good change my sleep cycle. It also gives a very cozy and soothing effect. You can get more information about these lamps on the website of ittefaqco . Oh, they are great. I would love to have them in my home. Amazing crystals! I always love to collect rock crystal. I have Himalayan salt rock that I got from saltean. This rock salt is amazing gift of nature, After placing it in my home, I feel very relaxed and free of anxiety. Thanks! I agree – they are amazing and can help us to relax and relieve stress.